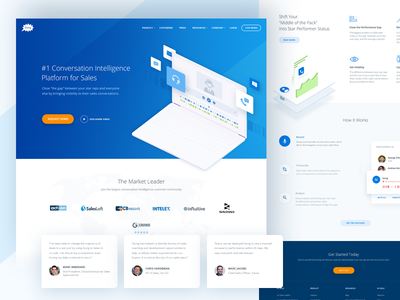 Gong Homepage — Here's the new Homepage designed for a top Conversation Intelligence platform. Full pixels view attached. Don't forget to press L and Follow to keep up with new stuff! 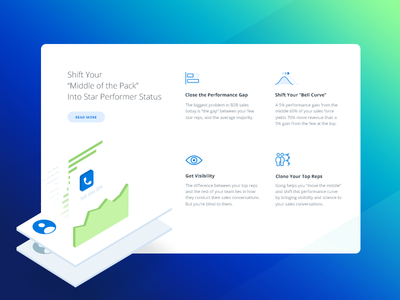 Star Performers illustration — Hero capture from an inner page we're working on. --- Don't forget to press L and Follow to keep up with new stuff! 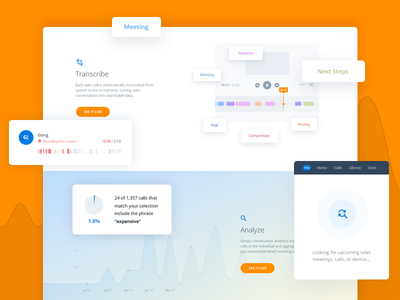 Isometric Calculator — Part of a Calculator webpage. Check the 2x view. Feedback is welcomed, as always. 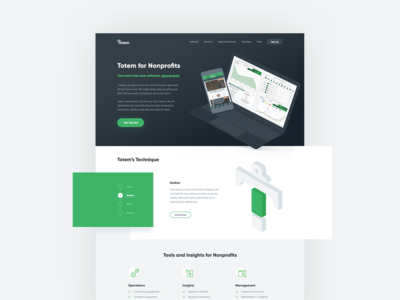 Product Page — Sneak peak from one of the Product pages that will be launched this month. Full previews coming soon. --- Don't forget to press L and Follow to keep up with new stuff! Access Denied pop-up — Animated "Stop" pop-up. --- Don't forget to press L and Follow to keep up with new cool stuff! 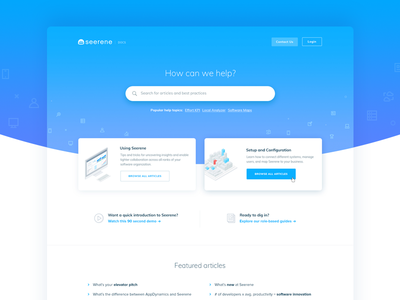 Documentation Page — Documentation page for articles and popular help topics. Full view attached. --- Don't forget to press L and Follow to keep up with new stuff! 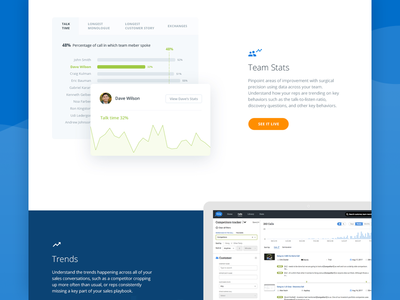 Sales Leaders page — Here's one of the Personas pages we designed for Gong. Full preview attached. 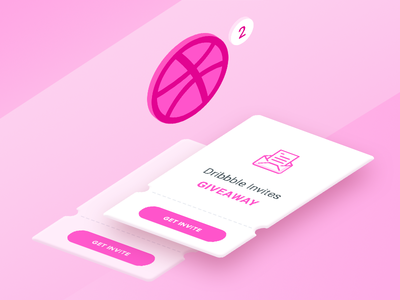 Two Dribbble Invites — Hey, want an invitation? 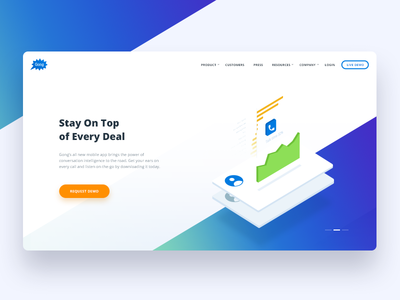 Send us your portfolio at contact@gorillastudio.ro. We'll pick the best ones 'til next Wed, 29 Nov.
City of Data — Sharing an animated data visualization of different types of blocks forming a city. 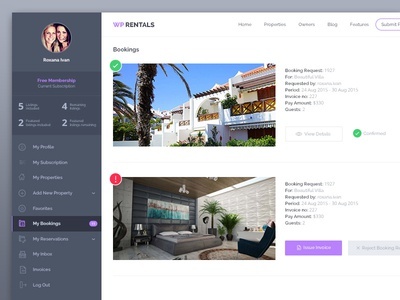 Features page (WIP) — Some app screens re-design for a Features page we're working on. Full preview coming soon. 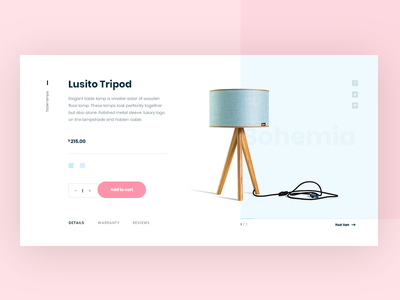 Tripod Lamp - product page — Sharing part of a product detail page. Full pixels attached. --- Don't forget to press L and Follow to keep up with new stuff! 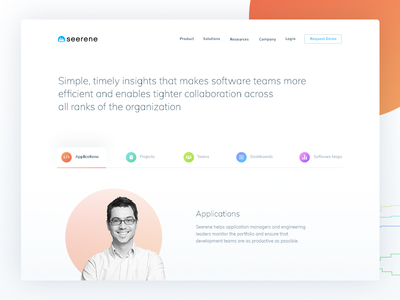 Mobile Page Animation — Quick animation of a Mobile App page we recently designed. Let us know what you think. --- Don't forget to press L and Follow to keep up with new stuff! 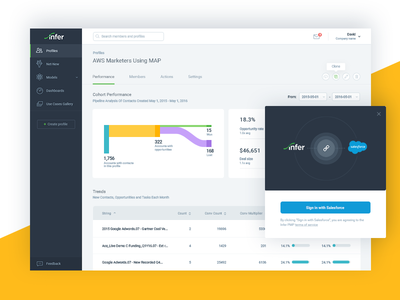 Marketing Dashboard — Sharing a screen preview from a cool and complex project we worked on: the re-design of a top marketing platform to improve client management and overview. What do you guys think? Check also the 2x preview. 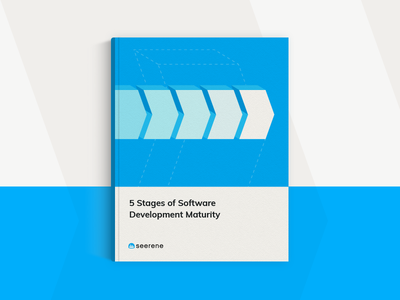 5 Stages of SDM eBook Cover — New cover for the "5 Stages of Software Development Maturity" eBook - everything you need to measure the development capacity & efficiency of your team. 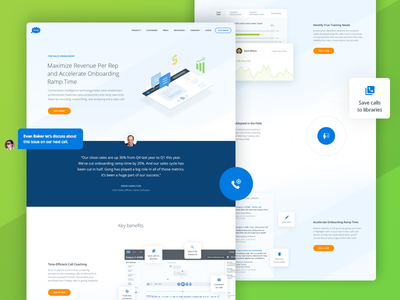 How it Works page (WIP) — This is a part of a How it Works page we're currently working on. 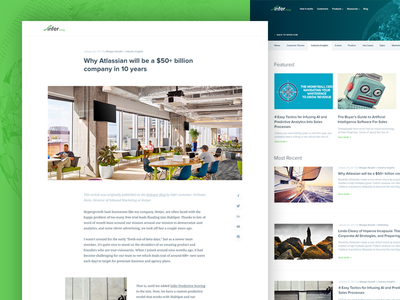 Blog & Article Pages — Sharing some Blog pages we designed for one of our clients. Check the attachment for full size views. Don't forget to follow us for more awesome projects! 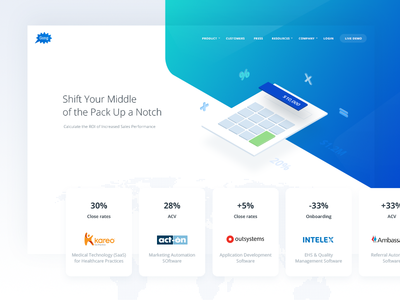 Homepage WIP — Sneak peek from a new Homepage we're working on. Feedback is welcomed, as always. Check also the 2x view. 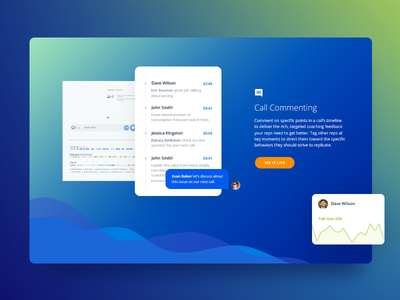 Dribbble Invites — UPDATE: Thanks everyone for your submissions. The 2 invites have gone to @Yggdrasil and @adgy. 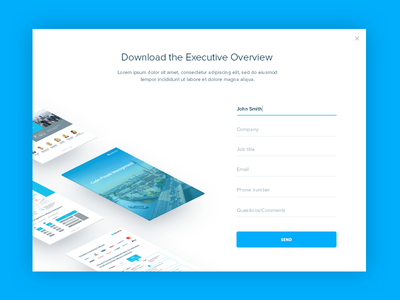 Let's welcome them to Dribbble! eBook Download Modal — Ebook download modal. Full preview attached. 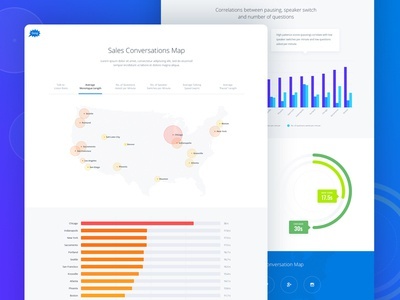 Sales Conversations Map — Hi, Here's an exploration of a landing page mapping some sales conversations data to the US map. Check the 2x for a better view. --- Don't forget to press L and Follow to keep up with new stuff! 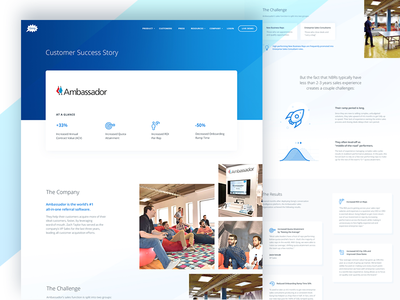 Ambassador Case Study — Sharing the web version of a customer case study we recently designed (full view attached). --- Don't forget to press L and Follow to keep up with new stuff!